The Meta Jersey graphic has been built on a model we created for the Maratona dles Dolomites, the most remarkable granfondo in the world, naturally presented by Castelli. This race has you climbing over legendary passes like Pordoi, Sella, Gardena, Giau and Falzarego and demands the maximum from your equipment. We made it lightweight, quick drying and easy to open for ventilation and gave it a fit that works for the wide variety of people you find at an event like the Maratona. That’s a big ask for a jersey. 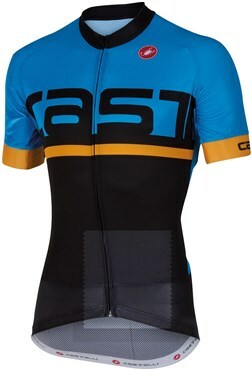 This model is also available with your custom team graphic through Castelli’s Servizio Corse custom team wear program.